DC and Marvel are the top comic book makers in the world. DC has given us such amazing superheros – and superhero collectible action figures – like Batman, Superman, Wonderwoman, The Flash and more. 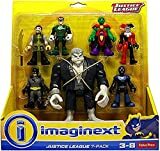 You can find many, many DC collectible action figures. There are some great examples of superheros and more here. 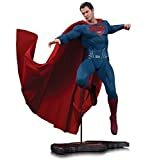 You can also find articles about a number of DC figures here at HotToyPlanet.com. 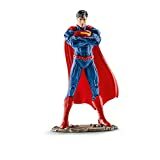 Below is our collection of collectible DC action figures and statues curated from Amazon. 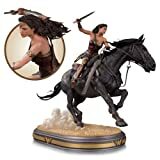 Clicking on the links below will take you to Amazon where you can find out more information about these amazing action figures and collectible pop-culture artifiacts. Enjoy this sweet collection and be sure to check back as we are adding more collection action figures all the time! 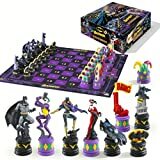 Here is a great collection of toys from DC Comics and films that we have absolutely fallen in love with. We tried not to put too many Batman figures, as we have an additional page devoted entirely to Batman. 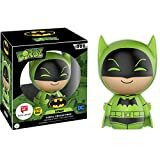 We also tried to pick DC toys that come from a wide range of prices.